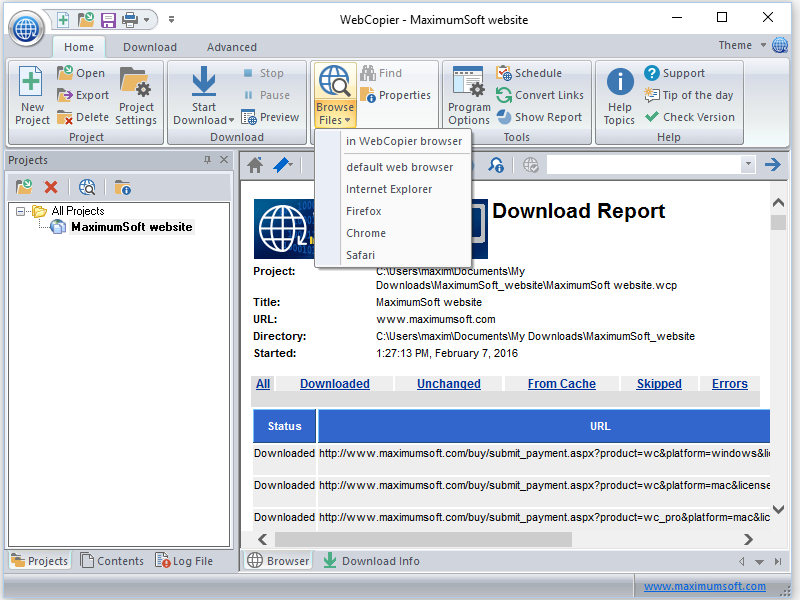 MaximumSoft Corp. today announced the new release of its popular award-winning WebCopier offline browser. The program allows to download entire websites, store them locally and view them later, at users' convenience. 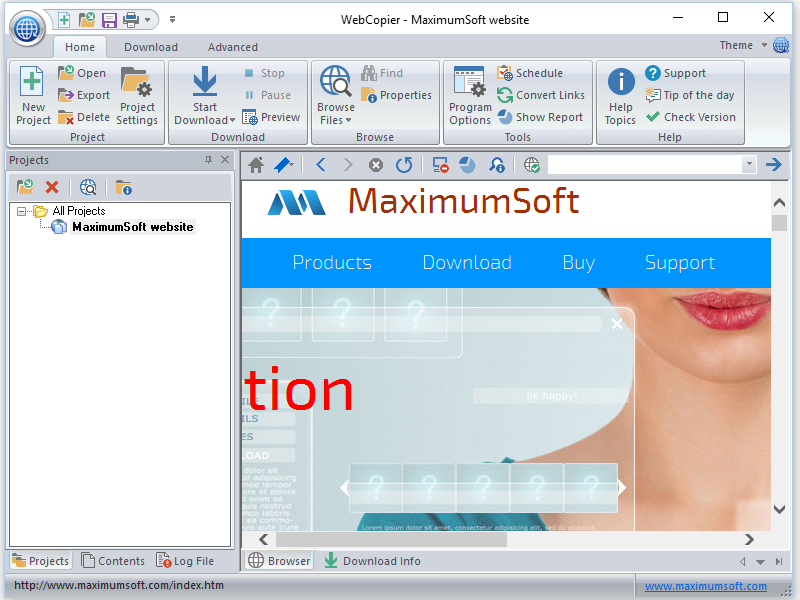 MaximumSoft Corp. today announced the new release of its popular award-winning WebCopier website download tool. This program allows users to download entire websites, store them locally and view them later, at users' convenience. WebCopier provides access to the downloaded information at any time, no matter where its users are, no Internet connection is required. WebCopier can copy or print whole sites or sections. Your saved pages can be copied onto disks or thumb drives, so you can take your Web-snapshot with you. Companies can use WebCopier to transfer company's intranet contents to staff desktops and notebooks; create a copy of companies' online catalogs and brochures for sales personal; backup corporate web sites; print downloaded websites; create PDF copies of their sites; analyze websites structure and find broken links. Individuals can use WebCopier to save complete copies of their favorite sites, magazines, or stock quotes; download enormous amounts of information from the Internet for later study; analyze websites structure. New version is fully compatible with Windows 10, includes improved HTML 5 parser, has refreshed UI. 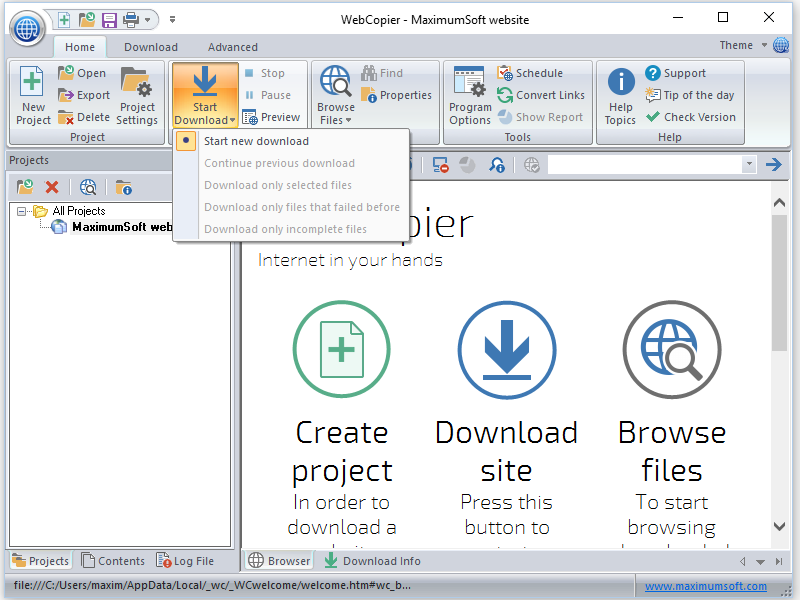 WebCopier is available on Windows and Mac OS X. PDF copies of downloaded web sites, created by WebCopier, can be opened on iPhone, iPad, Android devices.